The Georgetown Voice is a student-run newsmagazine providing Georgetown University with news, commentary, arts, humor, and sports as well as long-form journalism. In addition to a print edition that is published every two weeks, the Voice reports on campus news, leisure, and sports online daily. Our alumni have gone on to work at The New York Times, The Washington Post, The New Yorker, The Atlantic, NPR, NBC, FiveThirtyEight, Sports Illustrated, Vulture, POLITICO, The Huffington Post, and several other news organizations. Our editorial policy will view and analyze issues in a liberal light. We shall not limit our editorial content to campus topics. We promise to present and analyze national and local issues of concern to the student, whose concern should spread beyond the campus. We shall attempt with all our energy to inform the community, to make the community conscious of controversial subjects by an open presentation and discussion of relevant issues, to communicate a culture, and to entertain our readers. In 1969 a group of sophomores, led by Stephen Pisinski, himself a reporter for the Hoya, were very unhappy with the parochial nature of the paper and looking for a way to do something about it. 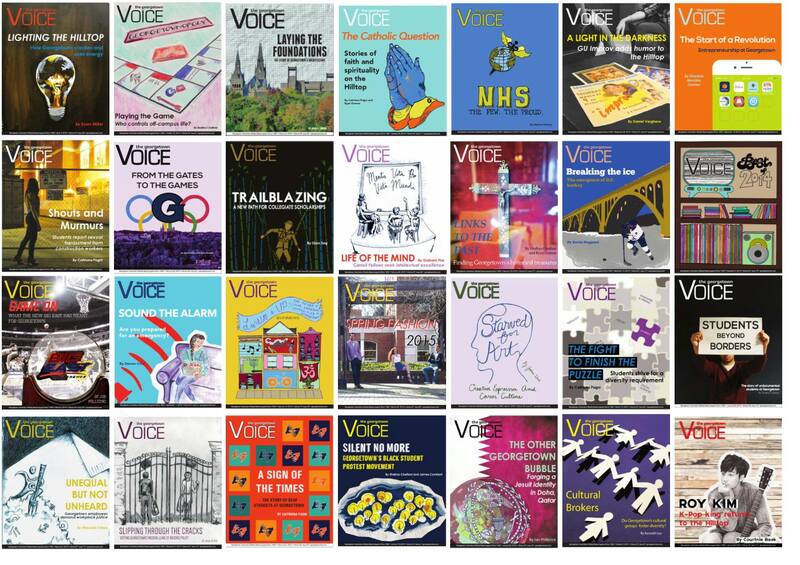 …[Raymond] Schroth, [resident Jesuit on their corridor], suggested the name the Voice, after the Village Voice, whose tabloid size and penchant for going beyond orthodox journalism they adopted. …The appearance of the Voice clearly had its impact on the editorial policies of The Hoya. By 1970 the older paper had broadened its news coverage to match the Voice’s extramural focus, and the Hoya’s editors in the fall of that year called for a merger of the two papers, as they now differed only in style, not content. The Voice editors, however, suspected that the Hoya’s offer was a thinly disguised effort to take over the upstart journal and rejected the proposal. While the editorial page explicitly comes from a progressive perspective, news and feature stories take a non-ideological stance and give voice to all sides of the issue. Without exception, the Voice is committed to providing campus with critical journalism that doesn’t defer to those in power. New staffers are welcome to join any section and are accepted at any time of the year. Learn more. The Voice is led by three executive editors, the managing editor and the editor-in-chief, who oversee a team of section editors. Responsibilities for section editors include determining what to cover, directing writers, revising pieces, and writing headlines. Most section editors have a small group of assistant editors as well. Editors are chosen among senior writers and assistant editors. The paper is governed by the general board of the Voice, which consists of the executive editors, section editors, assistant section editors, editorial board members, copy editors, and business staffers. 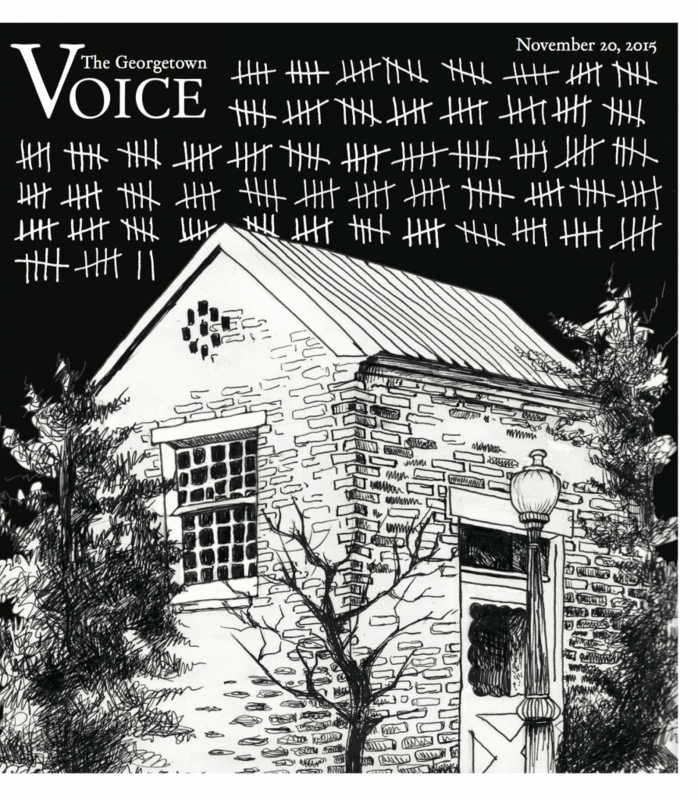 The text of all the articles published in The Georgetown Voice since 2001 is archived on a searchable index on georgetownvoice.com. Print issues from 2010 are also available to view online. The archives of Page 13, which contained cartoons, fiction, and other content at the editor’s discretion and was published until 2015, is also available to browse online. From 2006 to 2015, Voice staffers published a daily blog, Vox Populi, offering analysis on campus and D.C. news, breaking news, sports games recaps, and coverage of student government high drama, among other things. The blog is archived here.